Reserve Bank governor John Mangudya on Monday said the exchange rate for the new transitional currency is unlikely to remain at 2.5 per U.S. dollar by the time tobacco auctions open next week, suggesting the local unit will be devalued further. Zimbabwe faces a dearth of dollars that has caused shortages of fuel, drugs and food and hobbled the economy. The Reserve Bank scrapped its discredited 1:1 dollar peg for surrogate bond notes and electronic dollars last month, merging them into a lower-value transitional currency called the RTGS dollar, which has been stuck at a rate of 2.5 to the greenback. Many companies have, however, continued to hold onto their dollars waiting for the RTGS rate to weaken further, while most individuals sell their greenbacks on the black market, where US$1 bought 3.8 RTGS dollars on Monday. Mangudya said the official exchange rate was expected to change by the time auctions for tobacco, Zimbabwe's second-largest earner of foreign currency after mining, open on March 20. "We do believe that before or on that date the rate will have reached its equilibrium. We don't believe it will still be 2.5 (to the U.S. dollar)," Mangudya said. Mangudya maintained that the market would determine the exchange rate, after accusations of manipulation by the central bank. But he ruled out a sharp devaluation, which he said would result in a further spike in annual inflation. The governor said average annual inflation was expected to fall to between 10 to 15 percent by the end of this year. He also said that any huge salary increases for public workers would add to inflationary pressure. 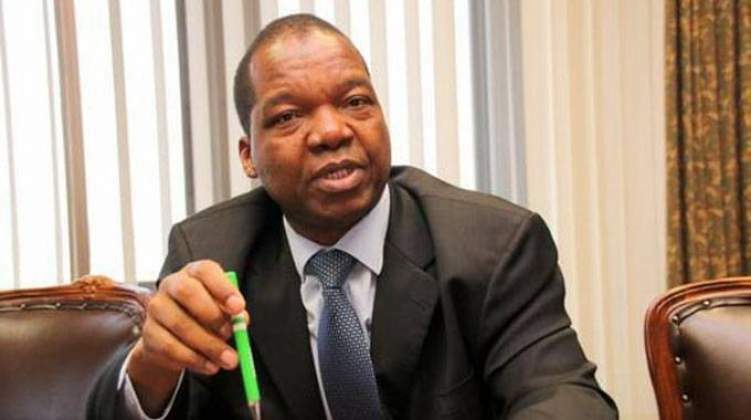 Mangudya said an average $12 million had been traded every week at the current forex interbank rate since February 22, when banks started selling dollars to large corporates. Exporters, including miners and tobacco farmers, receive half their earnings in the RTGS currency at the official exchange rate, while the other half, which is deposited in their foreign currency accounts, must be sold within 30 days. That requirement, which has been criticised by companies, is now being reviewed to allow exporters to keep their dollars for longer, Mangudya told a parliamentary committee. Mangudya said last week that the central bank had borrowed $985 million from pan-African banks against future gold export earnings. He said on Monday that Zimbabwe was repaying $5 million every month.